Chinese telecom firm Huawei has recently come under intense pressure in the U.S. to prove that the company isn’t spying for the Chinese government. But if a new report is accurate, Huawei is ready to push back. Hard. Considering the timing, this announcement is unlikely to be about a product launch. There is speculation that it may be in regards to the extradition hearing of Huawei's CFO Meng Wanzhou, which is set for March 8 in Canada. Alternatively, we could be looking at announcement about a lawsuit that the company is said to be filing against the U.S. government for banning federal agencies from using the company's products. Despite inviting people to watch the live stream, no link was provided with the post. But we'll be keeping our eyes peeled. 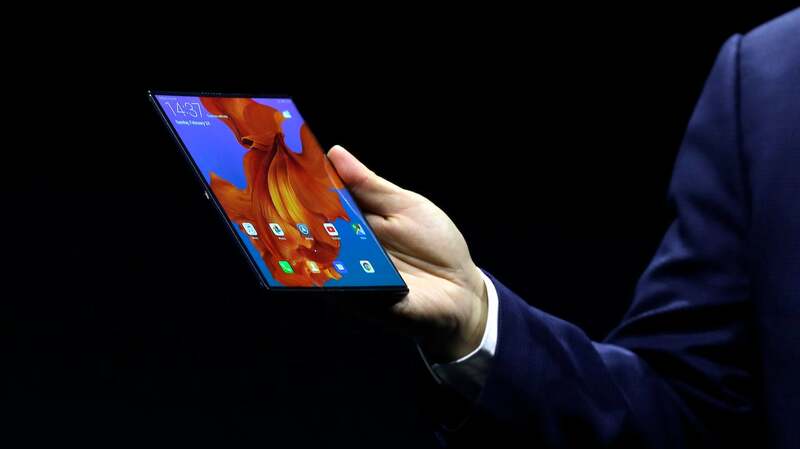 Huawei confirms that it is filing a lawsuit against the U.S. government due to the restrictions placed on Huawei products. Huawei states that these restrictions are unlawful and that it intends to fight them. "Huawei has not and will not ever implant backdoors"
Huawei accuses the U.S. government of hacking its servers and stealing its emails Huawei source codes. It also accuses the U.S. government of smearing its name publicly and attempting to block it from 5G networks in other countries. "Maybe the U.S. government incorrectly believes it would benefit from the suppression of Huawei. But the truth is that restricting Huawei's contributions to America and other countries from 5G networks will only harm their national interests. Faster 5G deployment can benefit all countries "
Huawei accuses the The NDAA was enacting restrictions on Huawei without giving it a chance to defend itself. it refers to these restrictions as unconstitutional. Huawei says that it is willing to address the government's security concerns and that lifting the NDAA ban will give the U.S. government the flexibility it needs to work with Huawei. The Chief Legal Officer of Huawei has now taken the stage. He says that Huawei is being singled out by name and reiterates how this is unconstitutional and damages its reputation. All good we're back on track. Huawei is stating that NDAA ruling singles them out and yet ignores cyber security concerns on the back end and will do little to actually address them. Huawei reiterates the unconstitutional nature of this ban, how it has hurt Huawei's reputation and how it does nothing to address national security concerns. The complaints being filed are now being deep-dived into. Huawei "fundamentally denies" that its products are tools of the Chinese government. "It's worth noting that in signing the 2019 NDAA the president of the United States objected that the NDAA violated separation of powers in a number of respects, and constituted legislative overreach. The lawsuit we have filed today raises similar objections that section 889 violates separation of powers and constitutes overreach. We look forward to pursuing these claims in the Federal Courts." We're now joined by Huawei's Global Cyber Security and Privacy Officer. He applauds any government or agency who strives for cyber security. He makes the point that the name on a product box isn't all that there is to that product. He's building up to an argument for the global supply chain and how hardware vulnerabilities can come from different places. He brings up that in 2017/2018 9/ out of 10 of the top companies to publish vulnerabilities were American. The shade! he's also having a go at the security hygiene of American companies - and that none of those issues are coming from Huawei. In short, he's saying that Huawei does a better job of data hygiene than many U.S. companies and yet its being targeted and restricted. Dayum. Huawei claims that it isn't perfect but it is always striving to address cyber security and be better and part of that is through transparency and collaboration. They're back to talking about the superiority of 5G and how Huawei is the best company to provide it right now. It is also claiming that blocking Huawei products will result in higher prices for American citizens for a slower network. They're going super strong on how everyone has a right to technology and that fair competition is imperative for customers to enjoy the economic and social benefits. Huawei believes that it could help save North American capital expenditure a minimum of $US20 billion in four years. "We should never forget that there are still more that 3.8 billion people who are offline... many of whom are Americans." The floor was opened up for questions... and that's where the feed cut off. THANKS GUYS. I guess that's it for now, then. Thanks for playing along at home! It will be fascinating to see what the U.S. response to the press conference and the confirmation of the lawsuit will be. We'll be following the story closely and keep you abreast of any new details.